『ウォッチメン』のスマイリーフェイス - Copyright (C) 2008 PARAMOUNT PICTURES. All Rights Reserved. 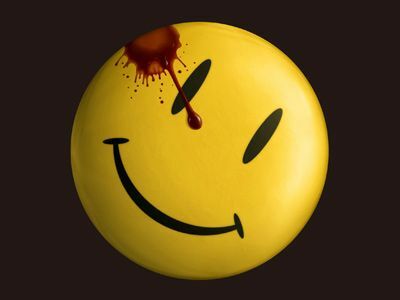 WATCHMEN and all related characters and elements are trademarks of and (C) DC Comics. Smiley Face Logo: TM Smileyworld, Ltd.